There's nothing like looking at a brown dormant lawn and plants to remind us that it's February! At my house, it seems like the only green plants are the weeds which are trying to get a head start on spring. 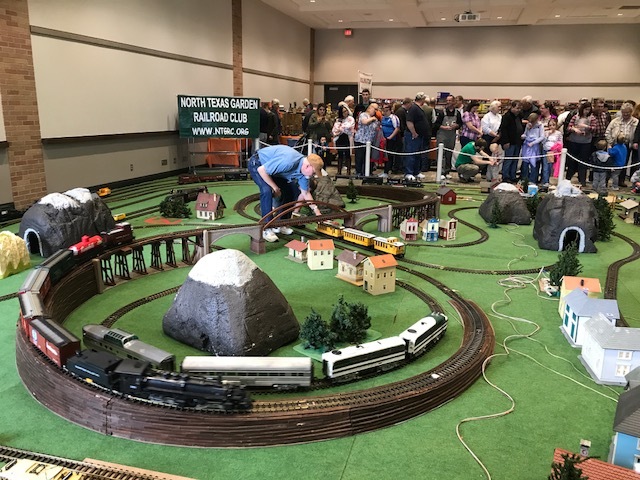 The Club just completed a very successful Plano Winter Train Show though, and we have a great lineup of home shows for the next few months, as well as the activities taking place at Clark Gardens. You can find the details and the latest news from the Club below. Hard to believe that we are one month into 2018. 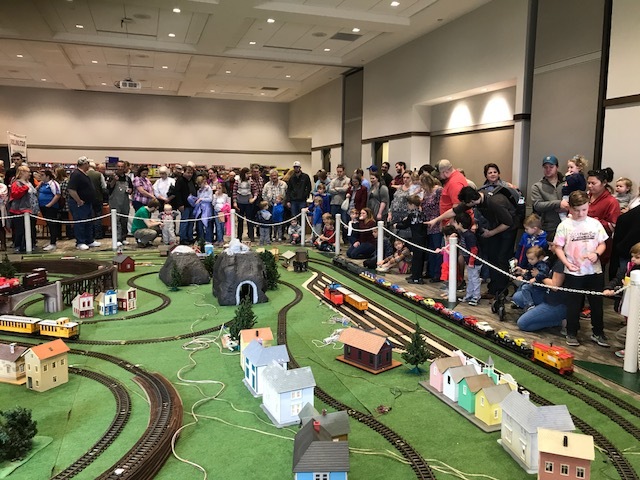 Last month I wrote about what we need to accomplish in the next few months to return the Clark Gardens train railroad to the masterpiece that it is before it reopens in the spring. We went out to measure the new bridge and trestle supports. The Gardens personnel have removed a lot of the vegetation that was in the way. It also hid some additional items that needed addressing. While we were there, we installed, or I should say Cindy (Kelly) Valdez installed, flagstone for footings and base support. Some track base wood was identified as needing to just be cut out and replaced. Also, before we can lay decomposed granite for the track bed, Garden personal will come back in and add stone work and edging to keep soil and granite from washing away in heavy rains. Once that is completed, FOUR DATES will be sent out. We will monitor the forecast for inclement weather and cancel (via email) that date. However, the first date with good weather we will need at least a dozen volunteers to distribute the decomposed granite and brush it into place. If we do not finish, then the next good weather date will be used to finish the project. Bridgework will include some re-do of supporting the existing trestles and bridges and some will be entire replacements. Mike Pritchett is moving along with building restoration and will be returning some in the next week or so and picking up additional buildings for restoration. Pete is identifying locomotives and rolling stock for repair. Mostly wheels/axels replacement and then greasing trucks and lubing wheels and moving parts. 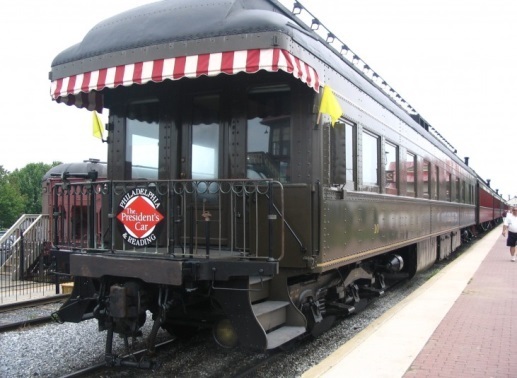 Yours truly will be rewiring lamp posts, telephone poles and installing LED lighting into the buildings inside the railroad station. LED lights have already been installed in lamps around the inside of the building adding an historical look to the décor of yesteryear. Here is a list of projects for the Gardens. WE NEED HELP FOR PLACING THE BALLAST AND BRUSHING IT IN AROUND ALL THE LOOPS. YOU DO NOT EVEN NEED TO KNOW HOW TO SPELL TRAIN TO DO THIS SIMPLE TASK. This is for the strong backs and weak minds like me. Even if not so strong, carry a ½ filled bucket and pour out on the track. I know of two people (members) who can not lift because of medial restrictions, but you can sure supervise !!!!!!!!!!!!!! WATCH THE EMAILS FOR POSTED DATES. Reminder: Your 2018 Dues are still only $25.00 for this year AND a Life-Time Membership is still only $250.00. Those Life-Time memberships make a wonderful gift. There are still a few members that have not renewed from 2017. 2017 gave us the highest membership numbers ever in the history that we have on record for this club. My hope is that we get the highest number of members ACTIVE (at least a couple of times) this year. Mail your dues to Pete Dahlberg, 4519 Willow Bend, Arlington, TX 76017. 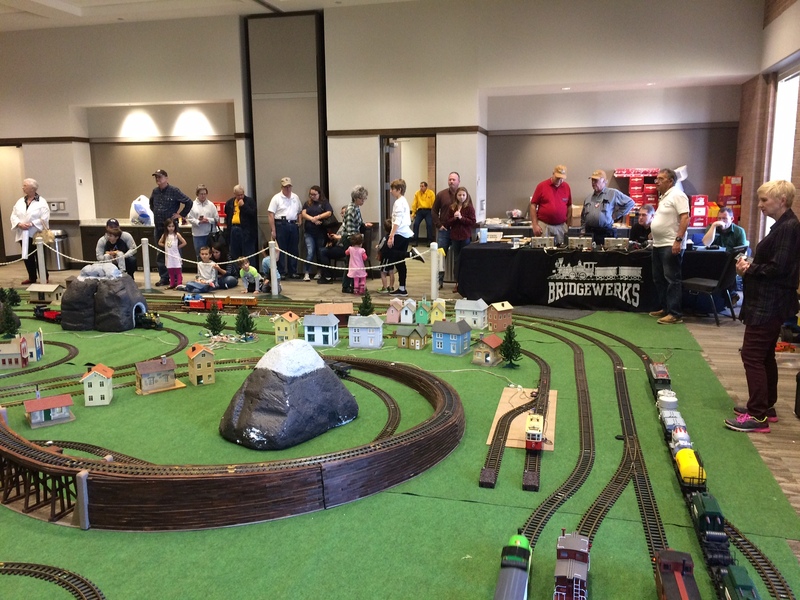 We just completed the Dallas Area Train Show at the Plano Event Center a couple of weeks ago. We had so many members there to help, I didn’t mind sitting out the set up. Much thanks to all, and a number of guests commented on how much nicer the layout was with the green carpet in place. Some pictures of the event are below. I’m not sure of the total attendance, but the crowds were larger than I have seen in years. 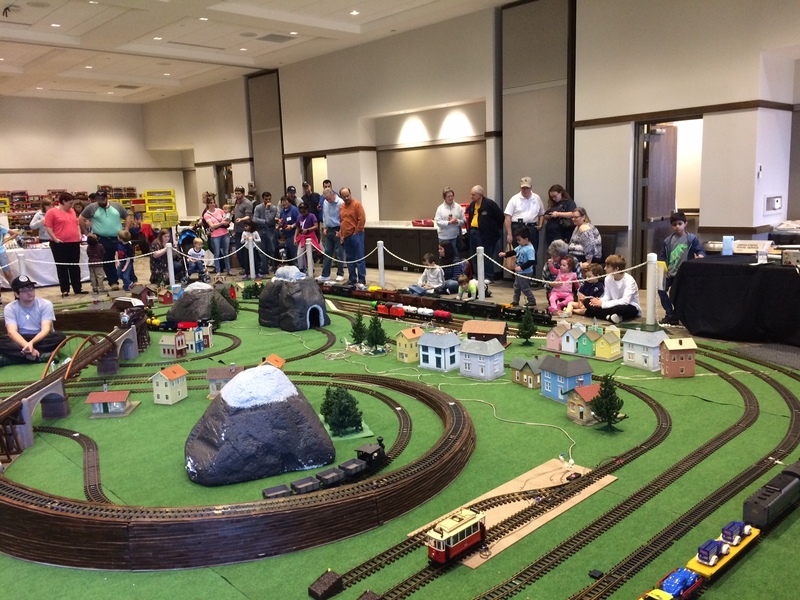 Our new run schedule is catching on and is giving our new members a chance to run all the trains they wish. Our new club hats sold out within 15 minutes, so if you missed getting one, we have 12 more ready for sale at $13.00 each. We will have them at the February 18th meeting at Ron and Peggy Trees’ home. 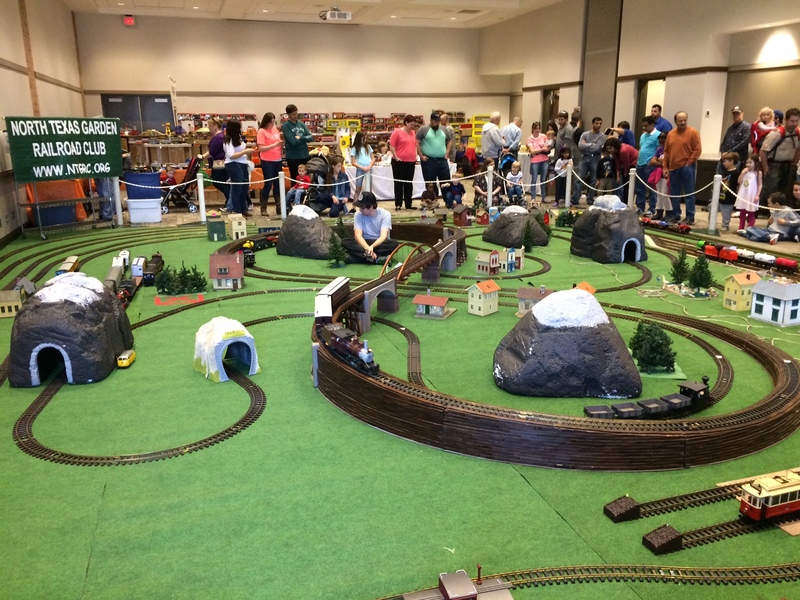 The Texas Western Train show we had planned for our November event was cancelled, so we have an OPEN date for that month. If you are interested in hosting a home show meeting in November, please let me know BY EMAIL (lane@haviland.us), and we will get you on the schedule. Q: How do I determine what size powerpack to use? How do I determine how many/where to put power connections to my track? A: These are somewhat related questions. 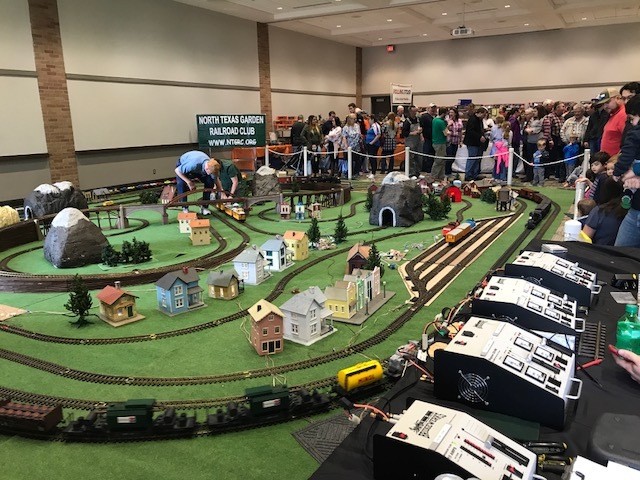 Most Large Scale trains have a maximum voltage of between 15 and 24 volts, so your powerpack should have this capability at a minimum. 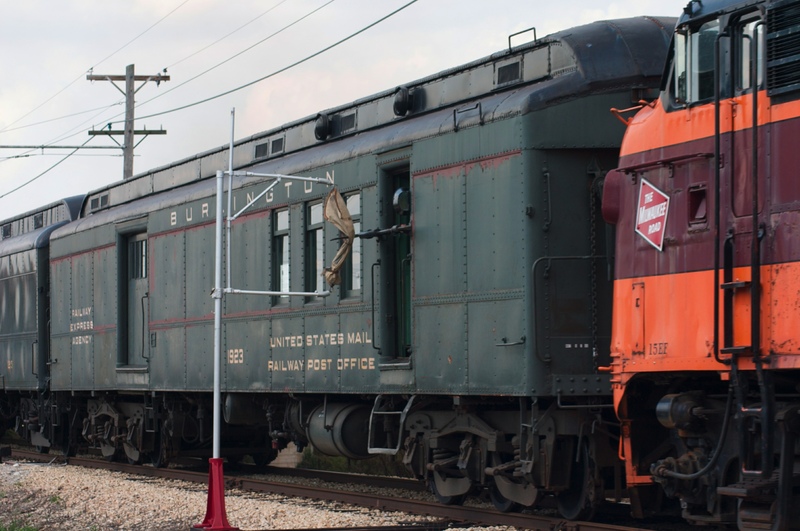 You should next consider how much current (amperage) your trains will require. A rule of thumb is that each motor will require between .5 and 1 amp and that incandescent lights will require about .5 amp per car. If you add up all of the motors and lights which will be running concurrently, you will have the maximum amp draw for the powerpack. Unfortunately most powerpacks do not list a maximum amperage. Instead they will show a value for Voltamps or VA. Voltamps is computed as Voltage multiplied by Amps so if you see a powerpack listed as 60VA that would give 2.5 amps at 24 volts. This is probably enough for a starter set and several lighted cars but would NOT handle a multi-motored multi-car passenger set. It should also be noted that if the layout is outdoors, the track will create resistance (current draw) as the temperature rises. This current draw is dependent upon the type of metal in the rail and the length of the track and although there are formulas available for computing the draw, they are beyond the scope of this answer. 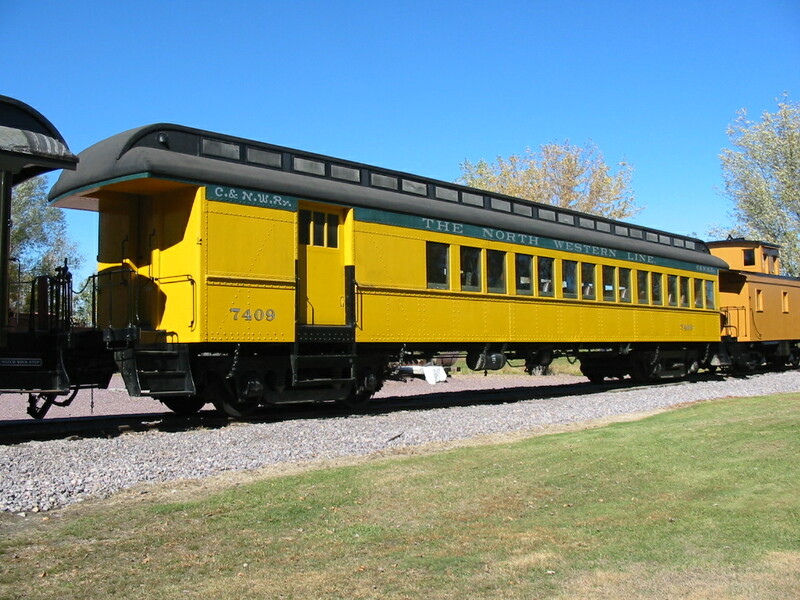 The number and placement of track power connections are dependent upon a number of factors. First, how long is the track? The longer the track the more connections will be needed. Second, what metal is the track made from? Stainless steel will not corrode but has a higher resistance and will require more connections. Aluminum has a low resistance but expands and contracts significantly with temperature changes and will oxidize requiring more surface maintenance. It will theoretically require fewer connections. Brass has a medium resistance (higher than aluminum) and moderate expansion and contraction with temperature changes. It will oxidize but that is controllable. Third, how are the track segments connected? If the segments are just connected using rail joiners, more connectors will be needed. It should be noted that LGB connectors provide a more secure connection than other track manufacturers. However over time and temperature changes, even LGB joiners will loosen. Rail clamps provide an extremely strong track to track connections and thus require fewer electrical connections but are expensive (approx. $1.50 per clamp). Jumper wires can be soldered at track joints as an alternative to rail clamps, but this is difficult to do. Also, over time solder joints can break due to the expansion and contraction of the rail. Taking all of the above into effect, I have seen loops of 300 – 400 (brass rail and rail clamped) run from a single power connection. I have also seen articles suggesting that a “bus” line be run around the track and feeder lines from the bus be run to the track every 10 feet. This may be appropriate if you are only using rail joiners and are using the short (1 ft.) sections of track, but seems excessive to me. It seems to be a scaling up of the rule of thumb for the smaller scales. A related consideration is that when dissimilar metals are connected electrolysis will occur resulting in one of the metals “rusting away”. Since the power is typically being brought to the track on copper wire, when it is connected to the track electrolysis will begin to occur. What you typically will see is that the wire will “rust” and the connection will then be broken at the point of connection. Make sure that there is significant slack in the feeder wire so that when this break occurs, the wire can be reconnected. That's it for our February Newsletter. I hope to see many of our members at our next home meeting in two weeks (Sunday, February 18th at 2:00 PM) at Ron & Peggy Trees: 3513 Pinnacle Bay Pointe, Little Elm, TX 75068. Thanks for reading.